The Liver Building behind the yards. 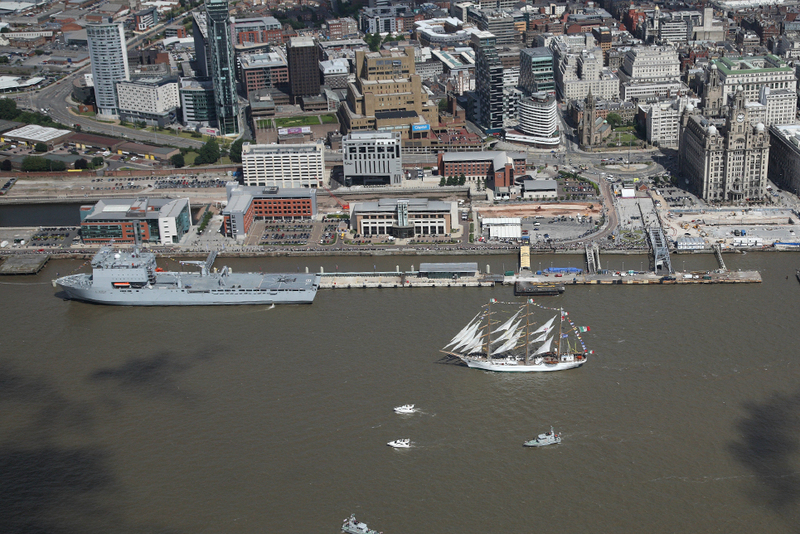 The Tall Ships fleet in Liverpool. 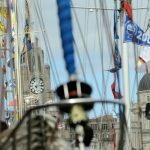 The clock tower of the Liver Building, through the rigging. 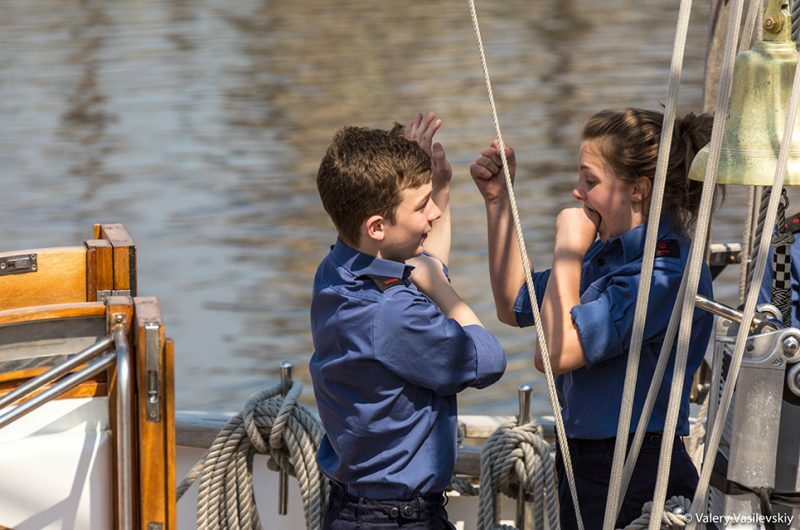 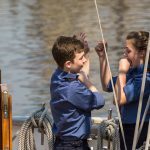 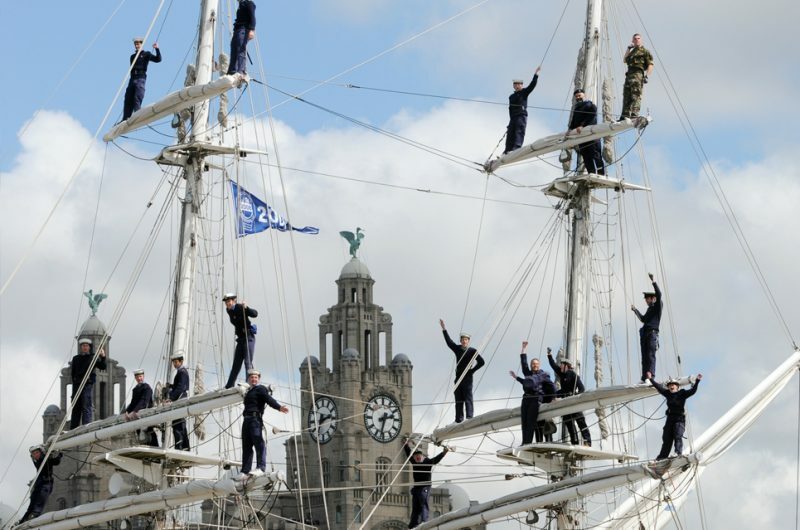 Trainees having fun on the Mersey. 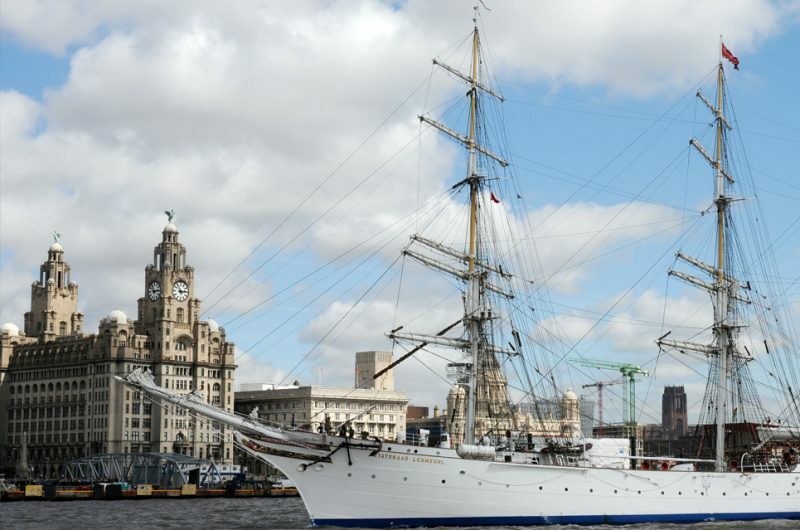 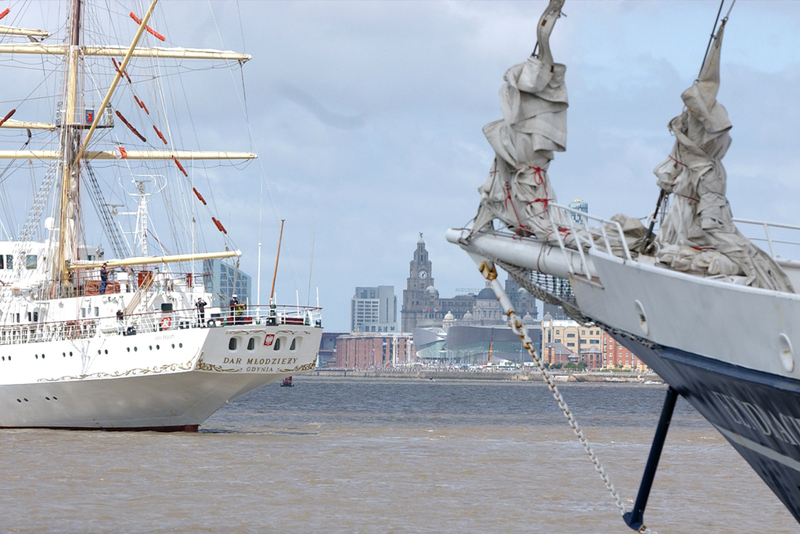 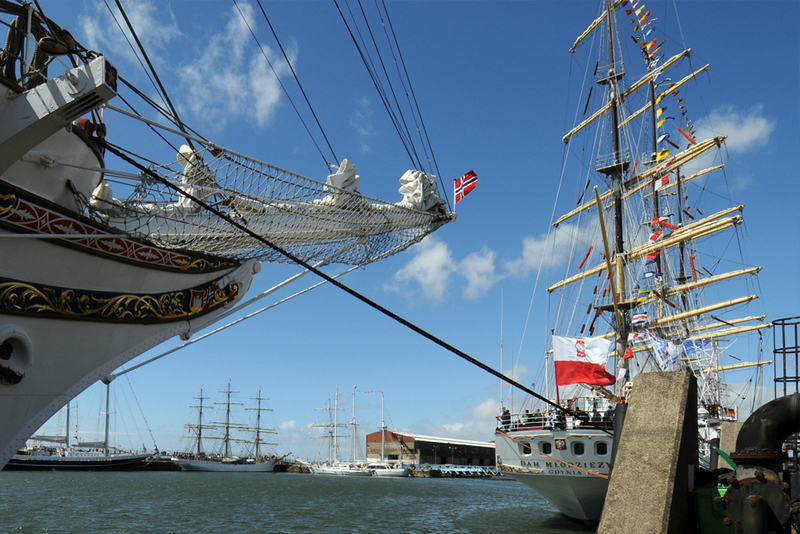 Eendracht and Dar Mlodziezy in Liverpool. 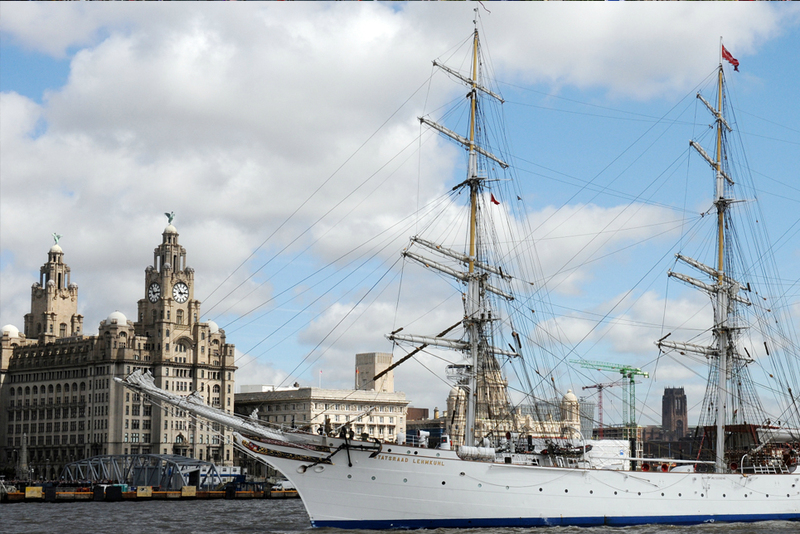 Stavros S Niarchos in Liverpool. 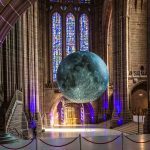 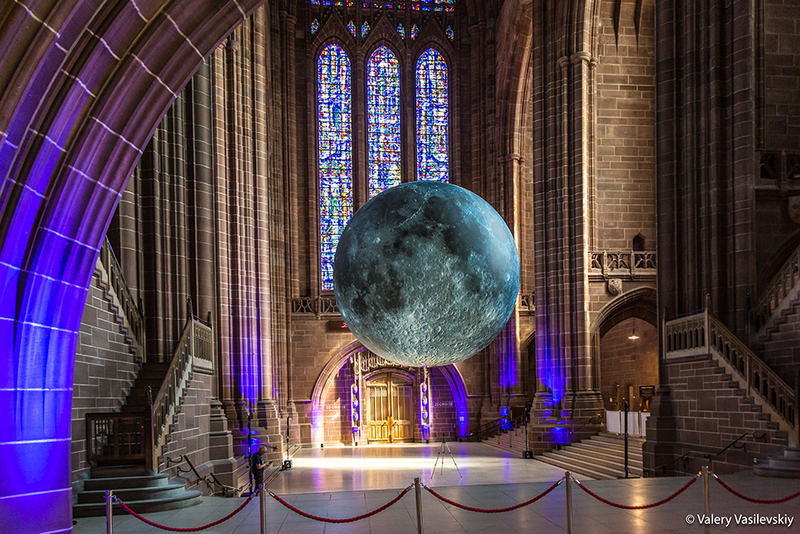 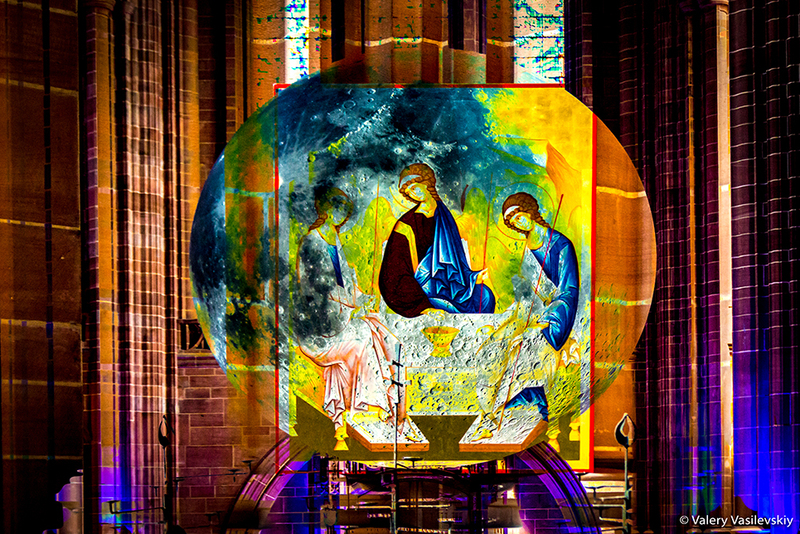 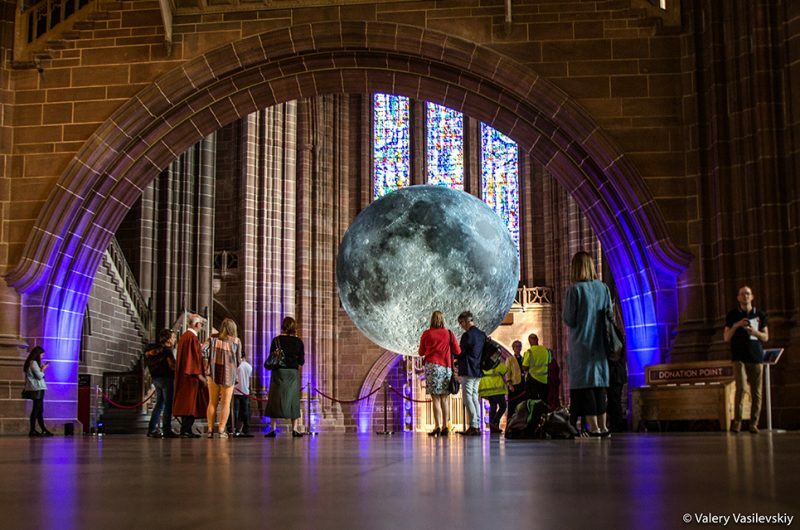 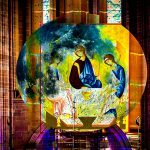 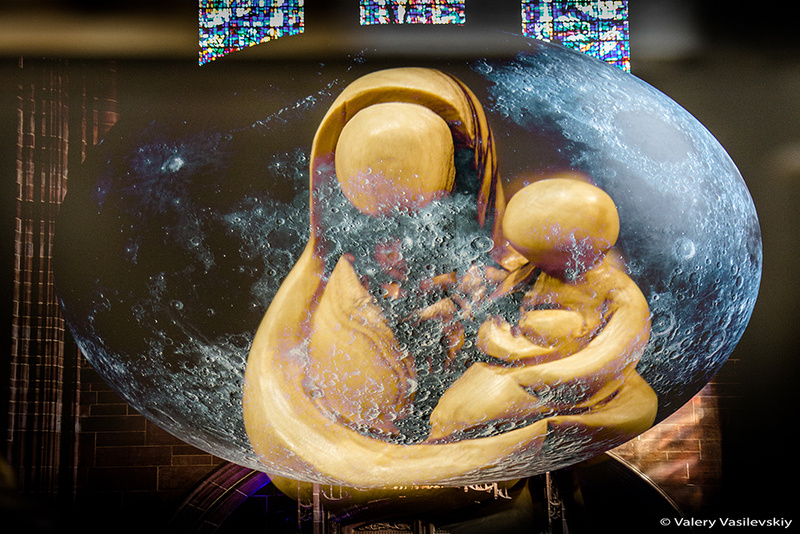 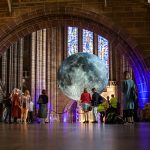 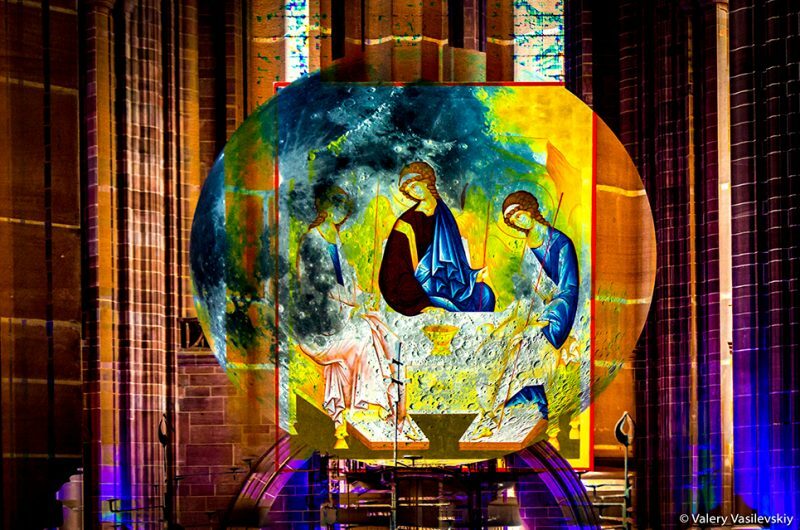 The Moon at Liverpool Cathedral. 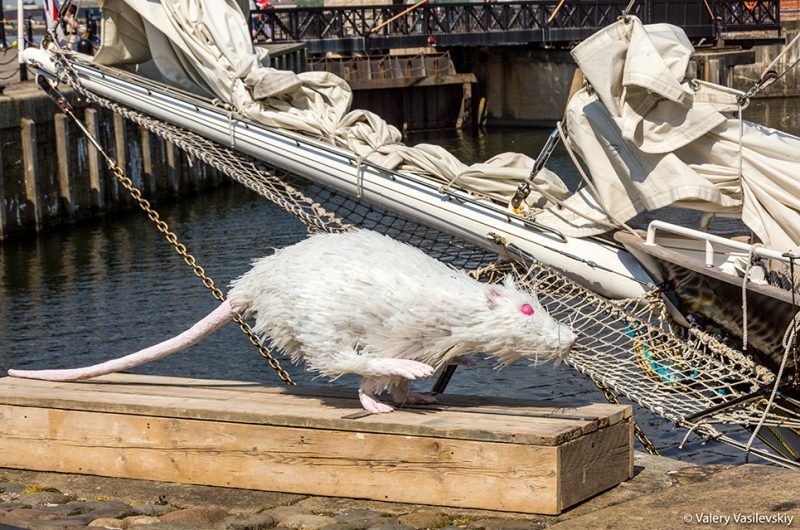 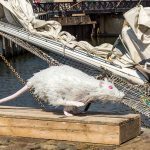 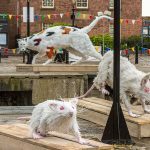 "Super Rat" pop-up art in Liverpool. 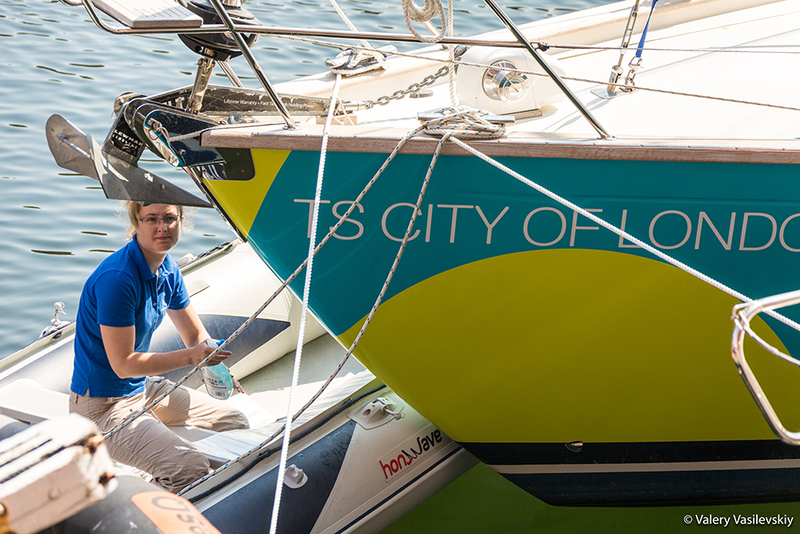 City of London and Sir Stelios. 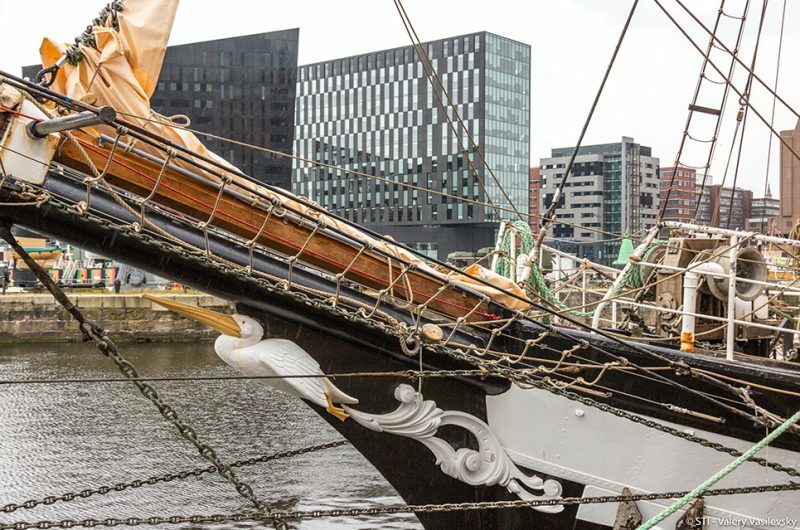 Ghost Tall Ship in Liverpool. 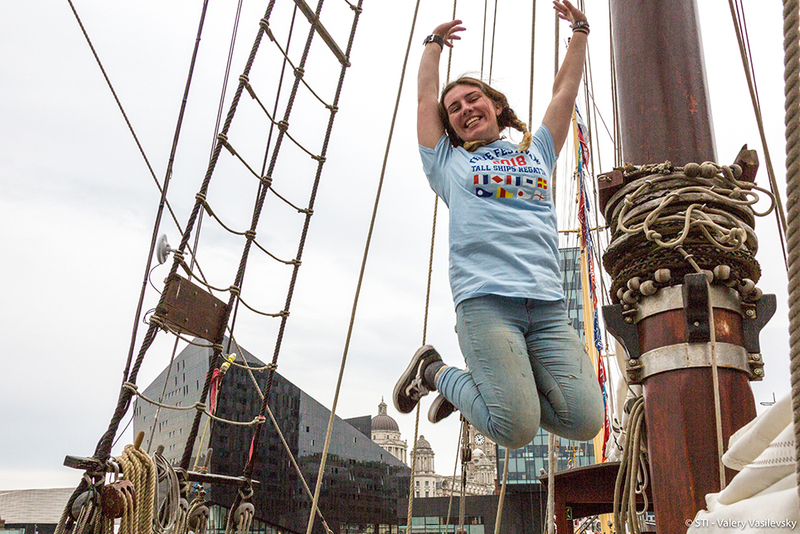 Jumping for joy in Liverpool. Bowsprit of Pelican of London. 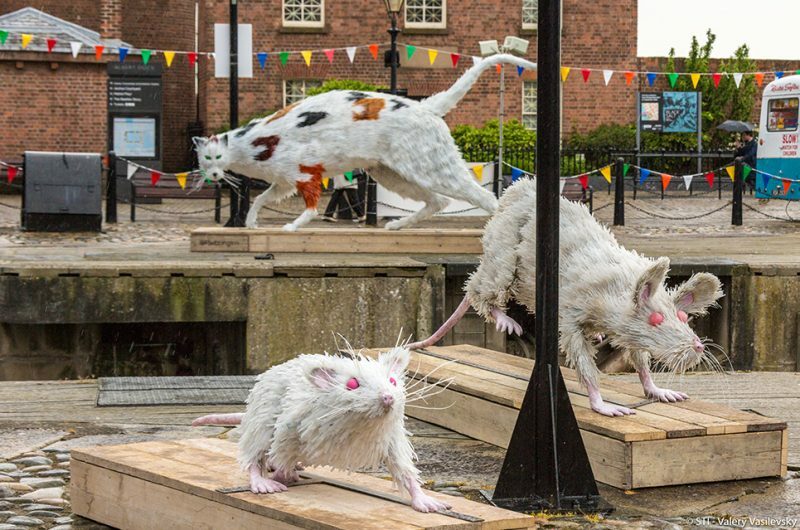 "Super Cat" and "Super Rat" statues in Liverpool. 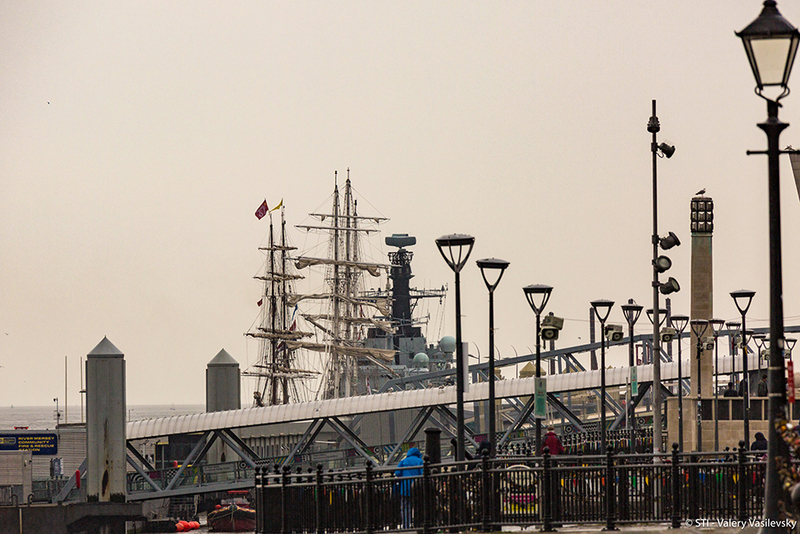 Tall Ships masts in the distance. 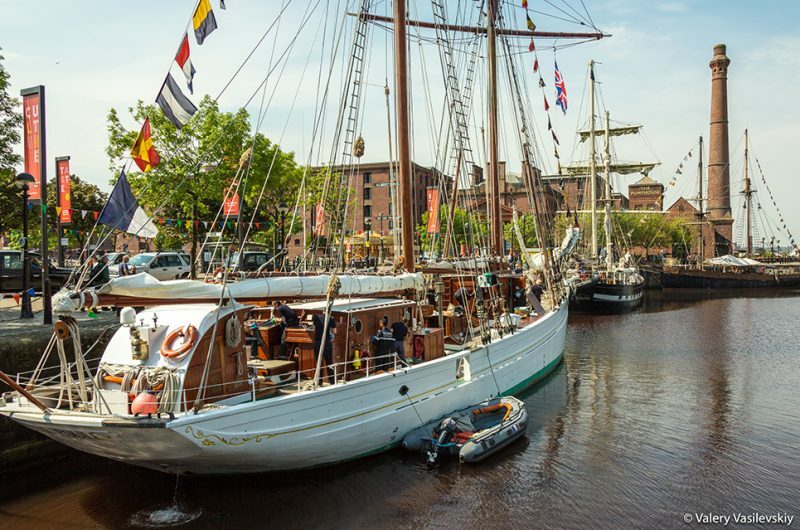 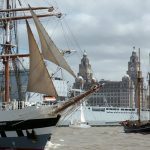 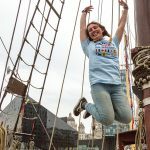 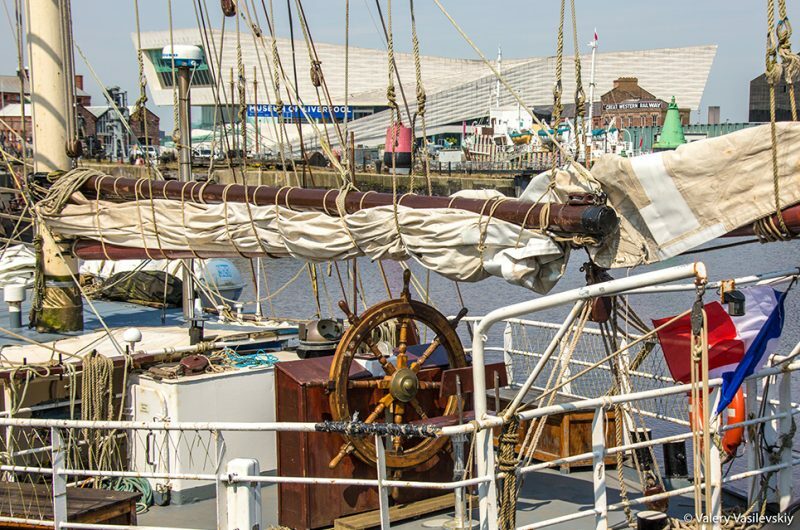 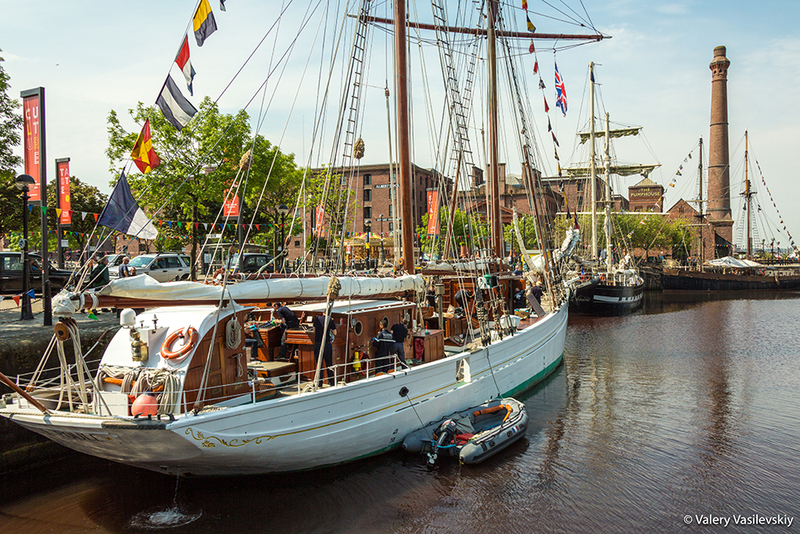 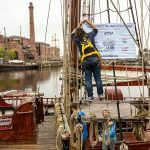 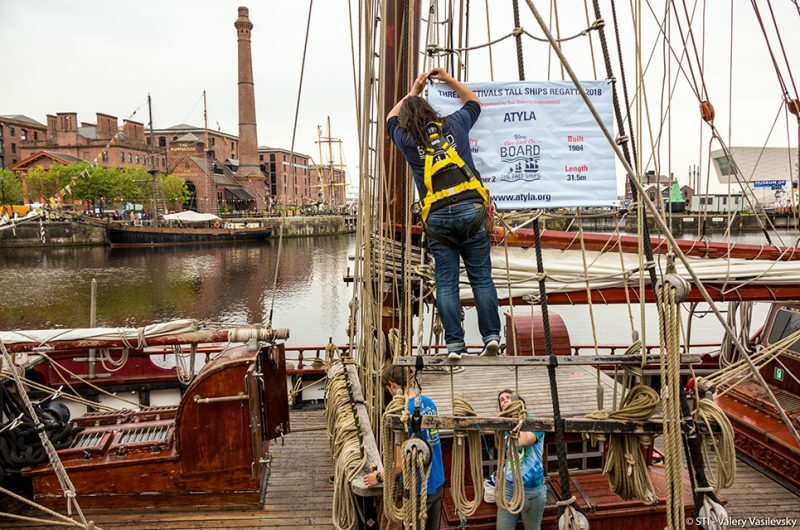 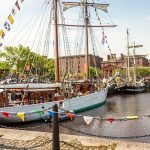 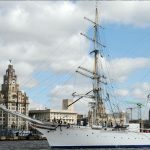 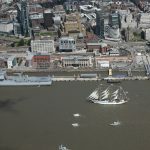 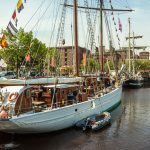 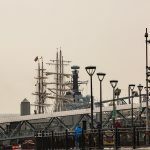 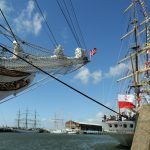 Over the 2018 May Bank Holiday weekend, the international fleet of Tall Ships made its triumphant return to Liverpool for the fifth time, as part of the Three Festivals Tall Ships Regatta 2018. 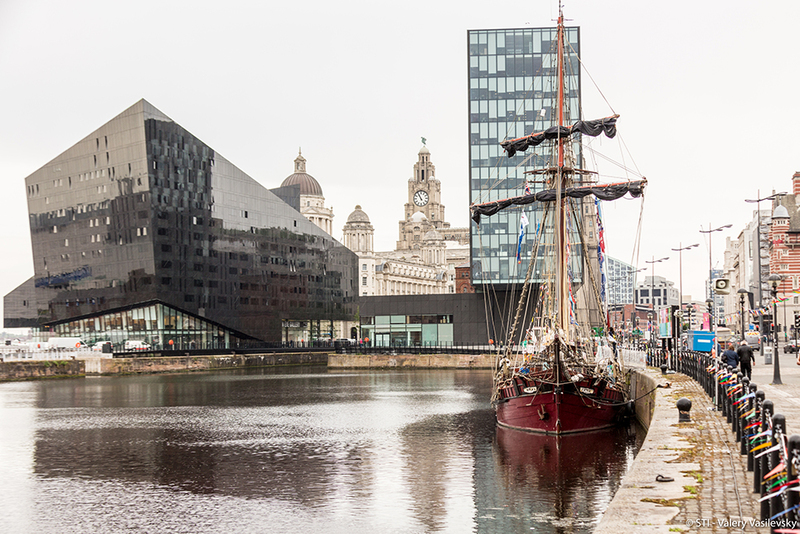 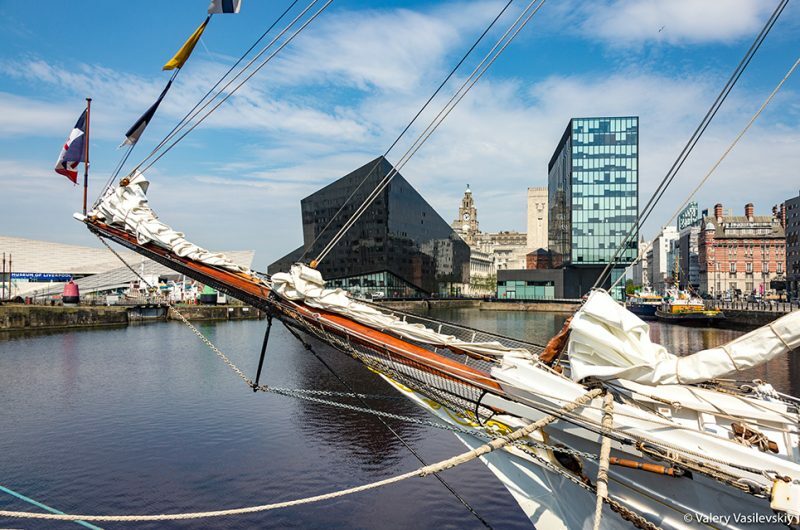 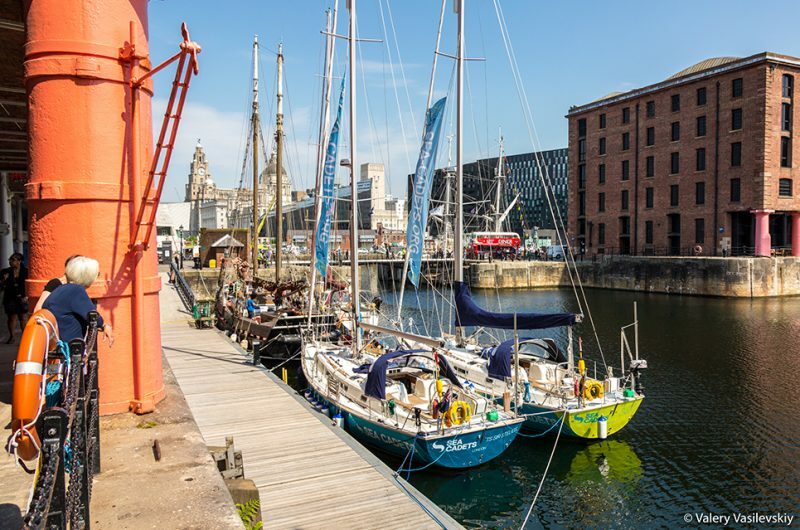 Berthed in the Victorian splendour of the Albert Dock and alongside the award-winning Liverpool Cruise Terminal, the fleet was close to the beating heart of the city. 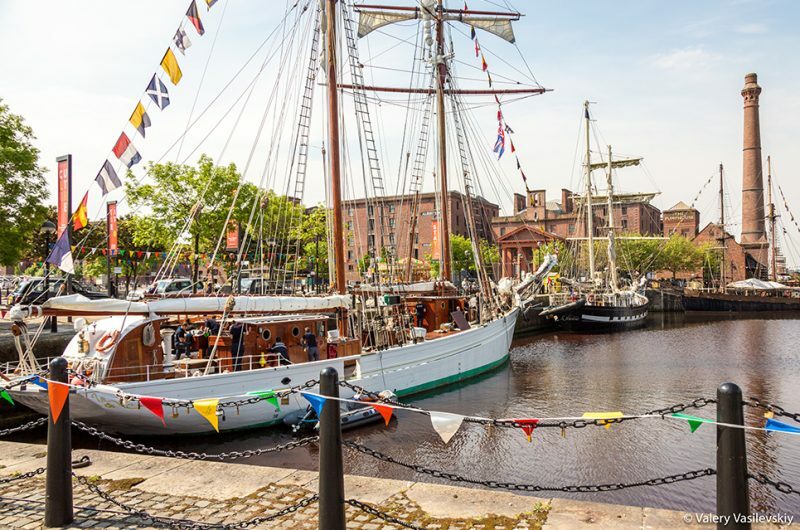 Here, a wealth of art, culture, architecture, music, and sport, as well as a thriving selection of bars, restaurants and shops were on hand for visitors and crews to experience and explore. 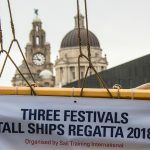 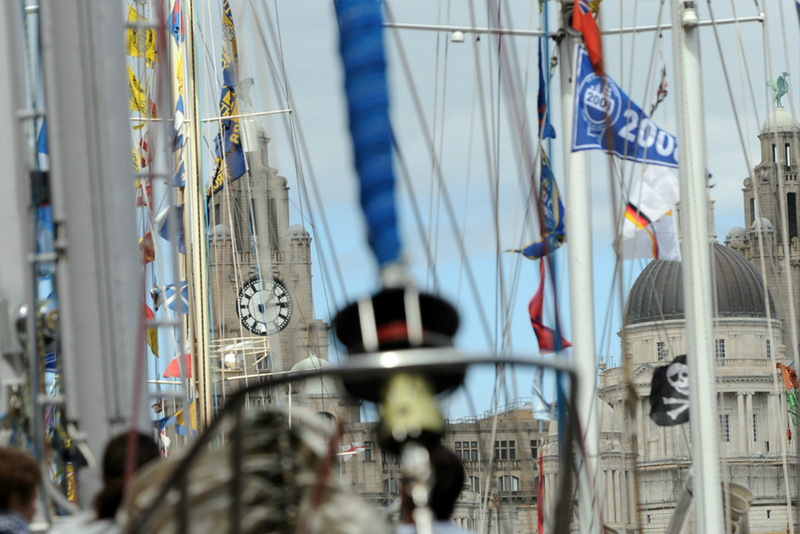 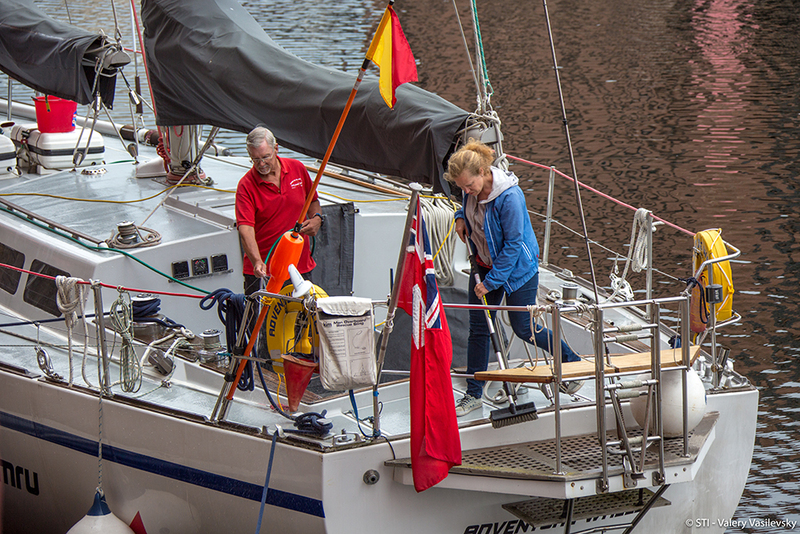 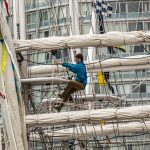 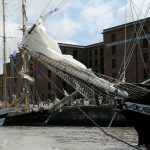 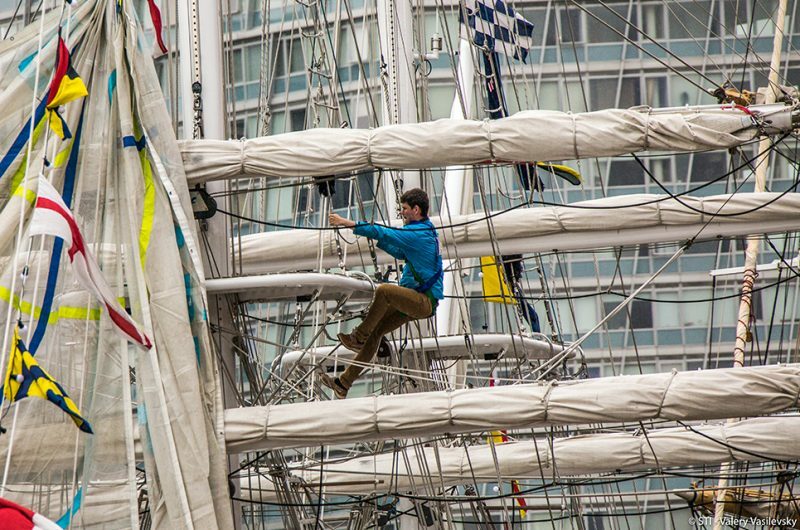 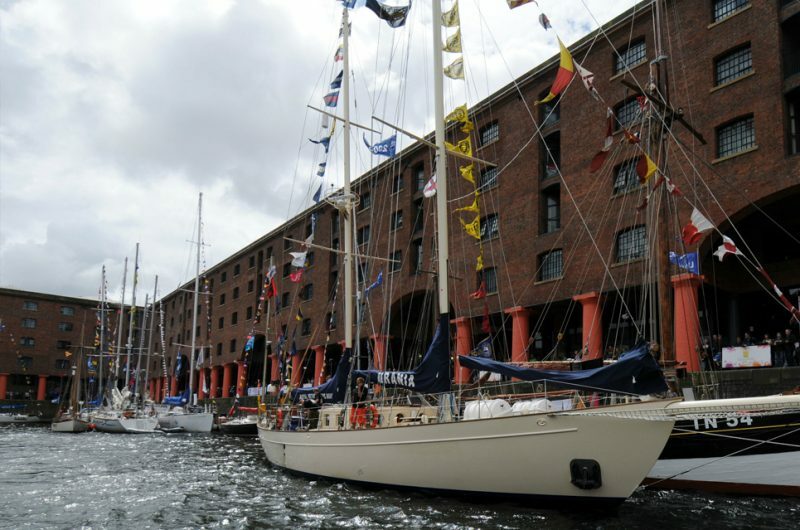 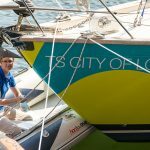 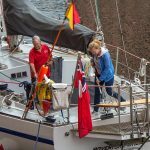 Together with the city’s specially commissioned programme of street animation, aerobatic displays and colourful shanties, the Three Festivals Tall Ships Regatta 2018 in Liverpool entertained and delighted the crowds and crews with its famed hospitality. 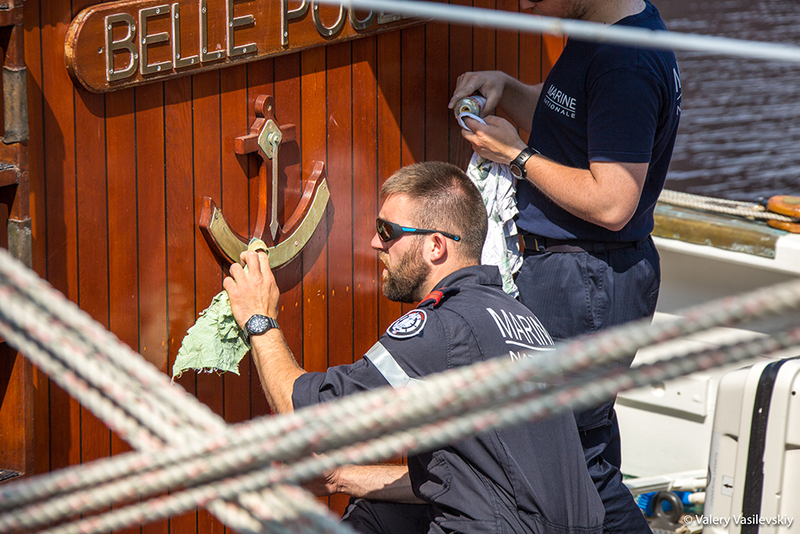 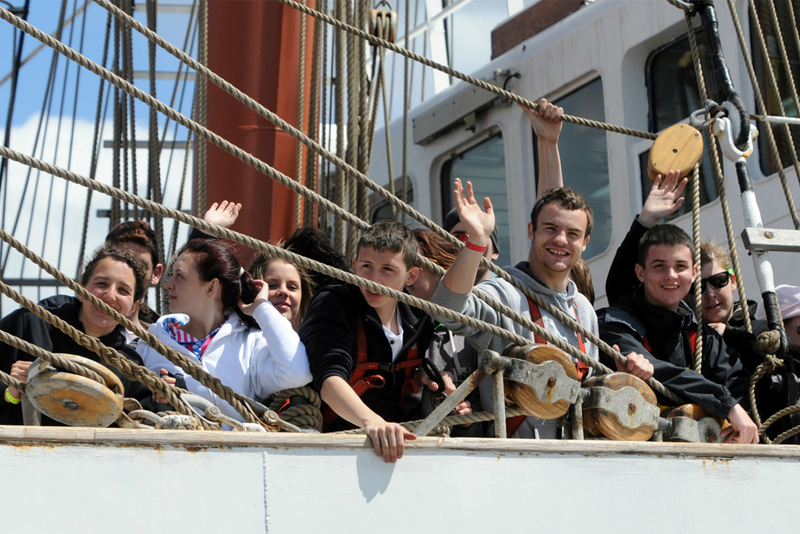 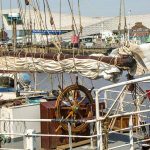 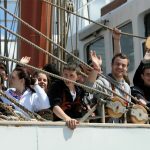 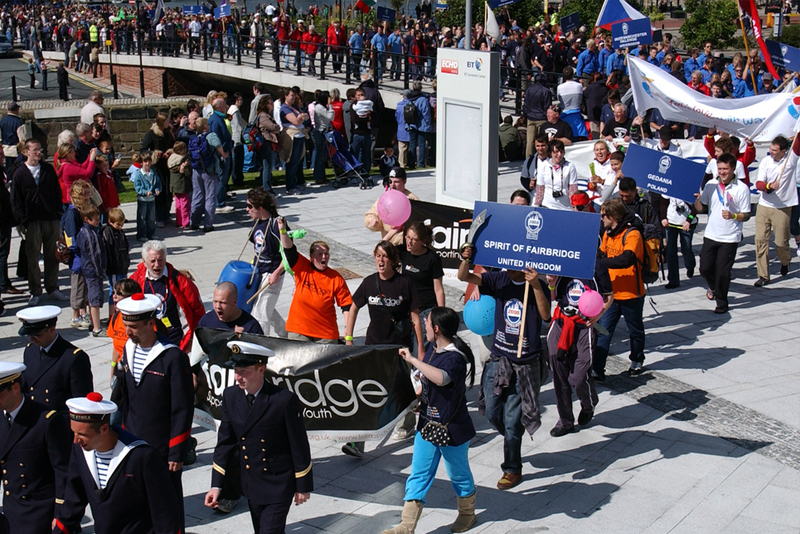 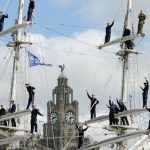 “The Tall Ships was one of the highlights of 2008 and so it’s fitting they make their return in a year when we celebrate a decade since our unforgettable culture title. 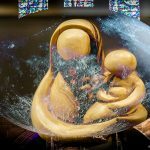 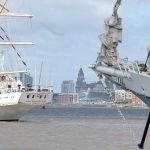 “This is an event which can engage with the wider community and provide an experience that captures the hearts and minds of local people and those who will travel from across the globe to see this stunning sight on the Mersey. 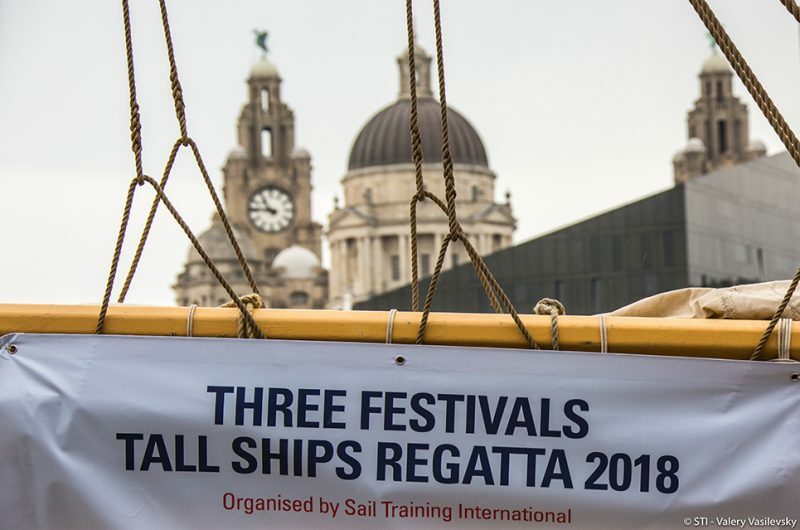 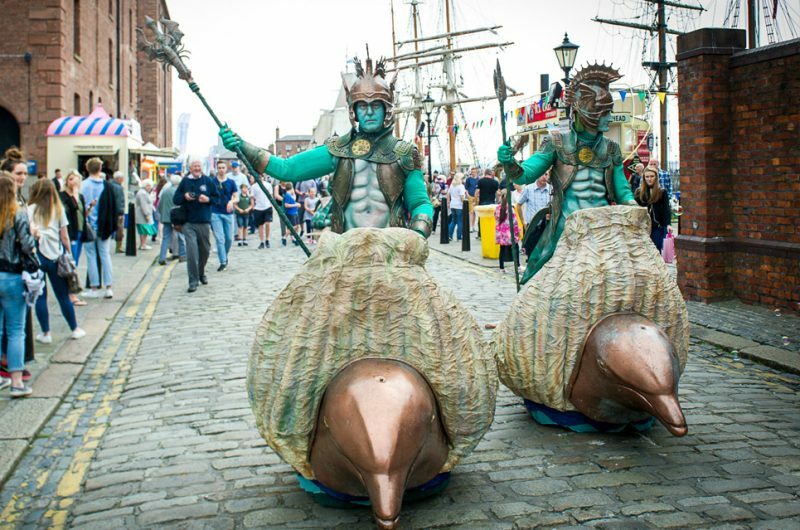 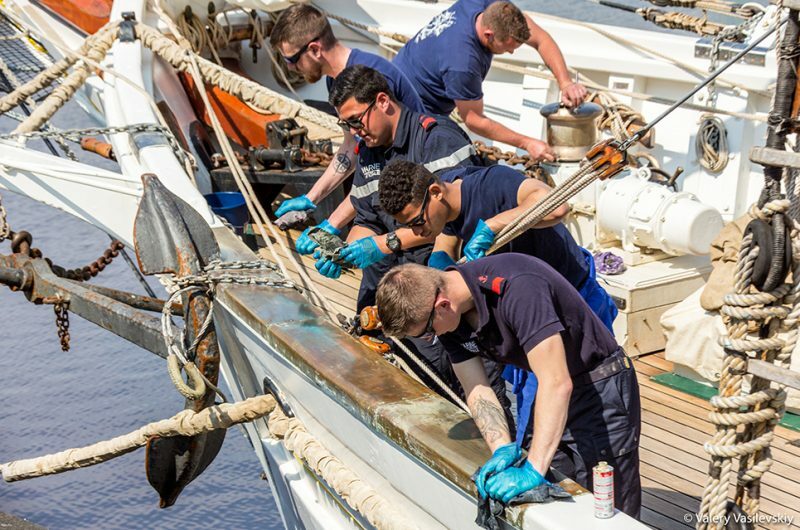 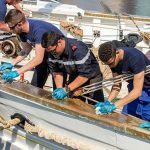 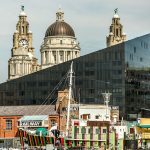 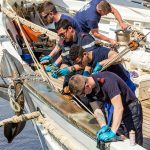 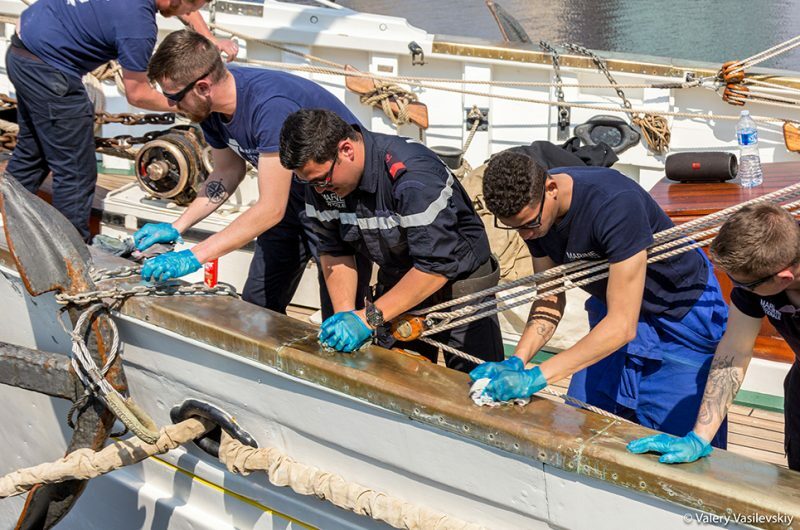 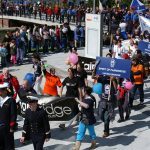 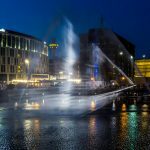 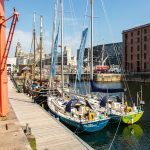 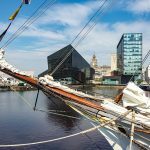 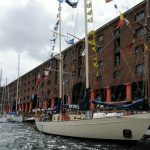 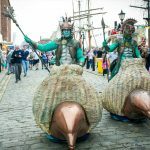 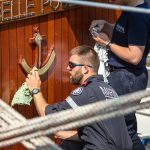 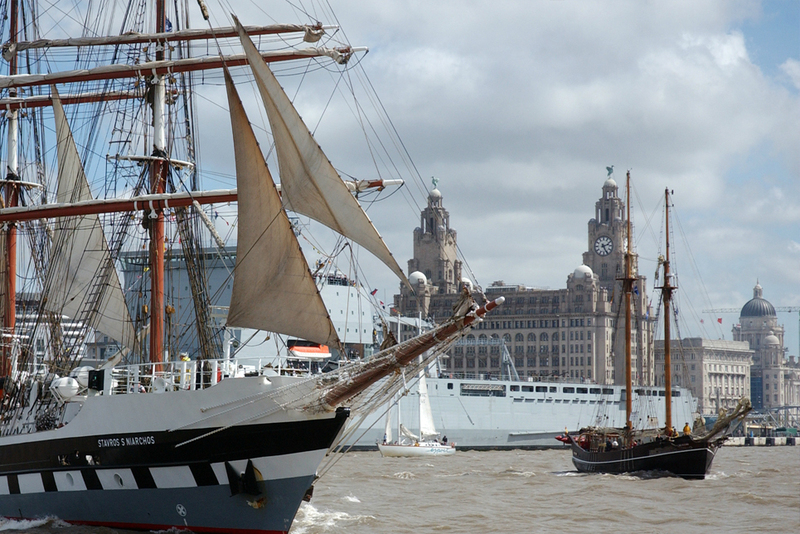 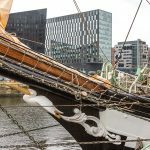 “When it comes to large-scale, outdoor events, Liverpool excels, but there is always something particularly special about maritime activities. 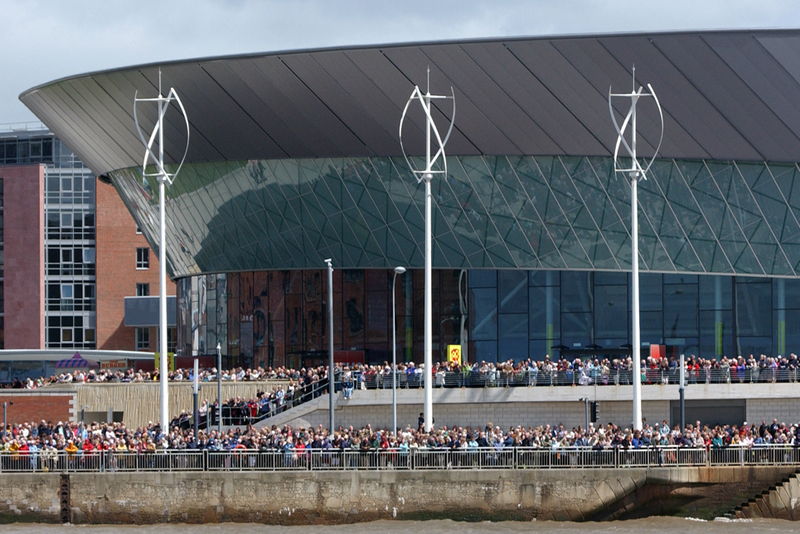 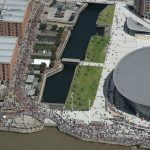 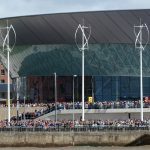 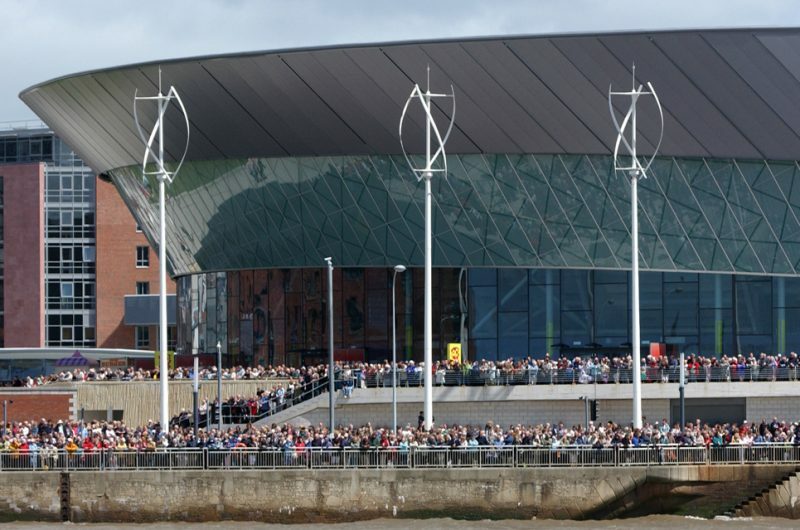 The River Mersey defines Liverpool, and whenever we host an event on the waterfront, people come out in their thousands to celebrate the contribution it has made to our heritage, our present and our future. Mayor of Liverpool, Joe Anderson. 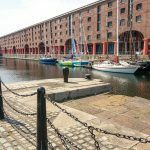 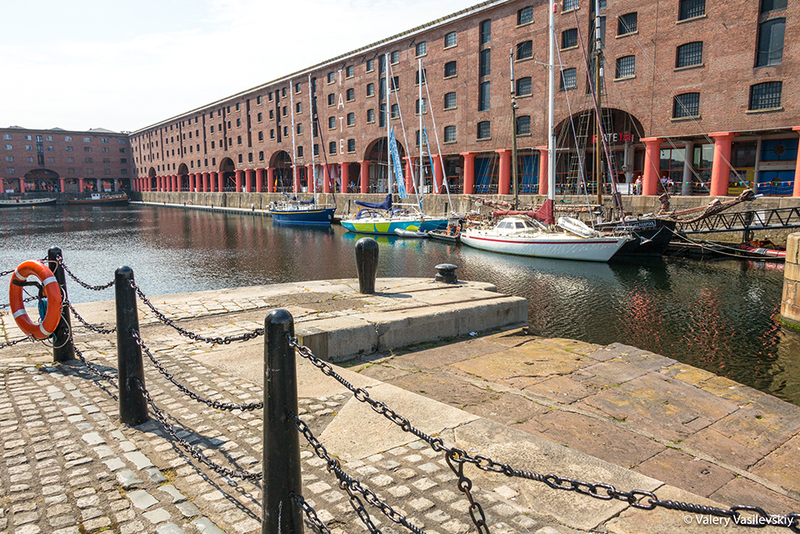 The magnificent Albert Dock Liverpool has the UK’s largest group of Grade I listed buildings. 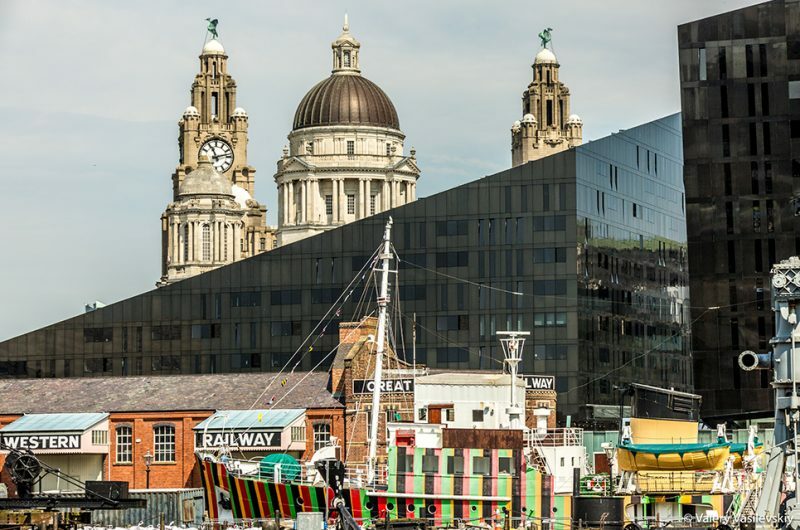 The clock faces on the Royal Liver Building are the biggest in the country. 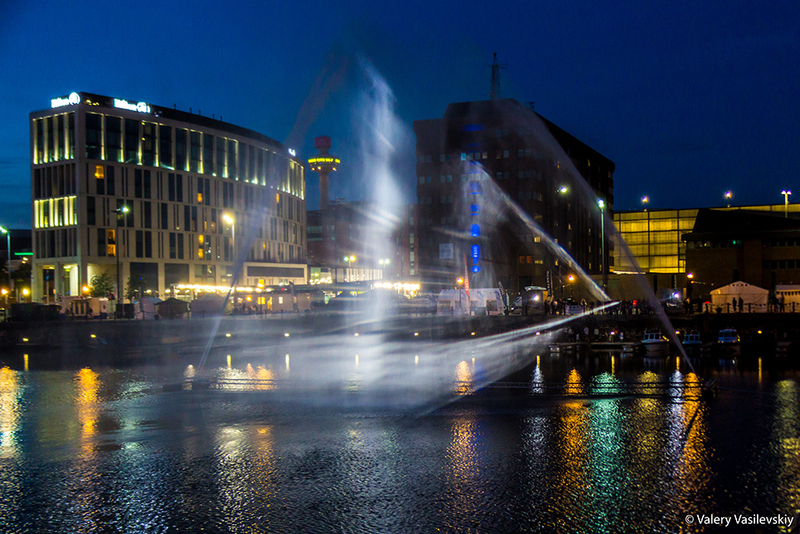 Liverpool ONE is the largest open air leisure and retail scheme in the UK. 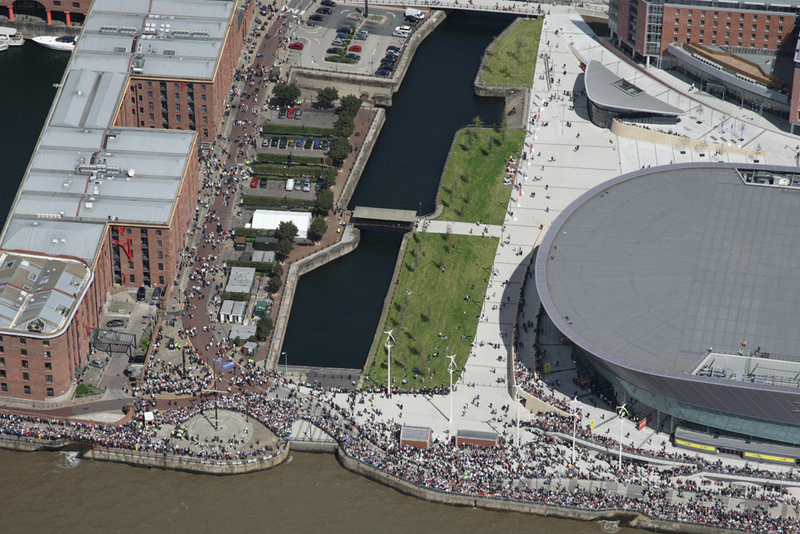 Liverpool is the birthplace of The Beatles – officially the most successful band in music history. The city boasts more national museums and galleries than any other UK city region outside of London. 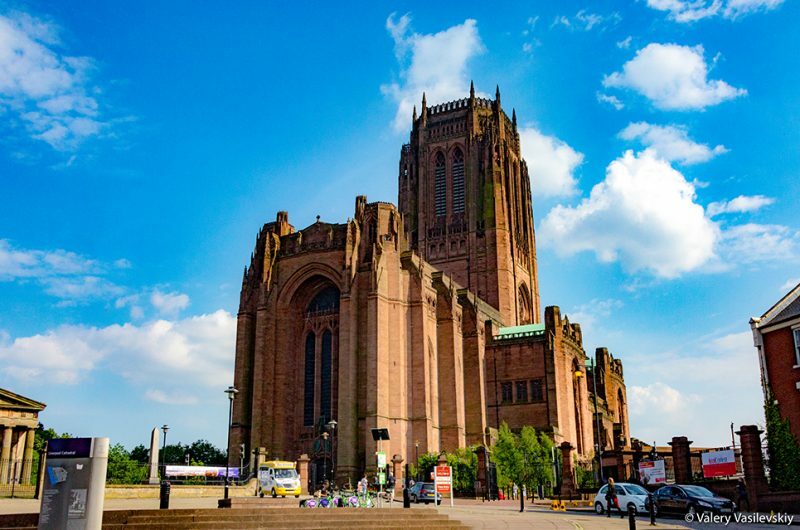 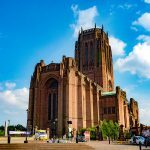 There are two cathedrals: the Anglican is the largest in the UK and 5th largest in the world. 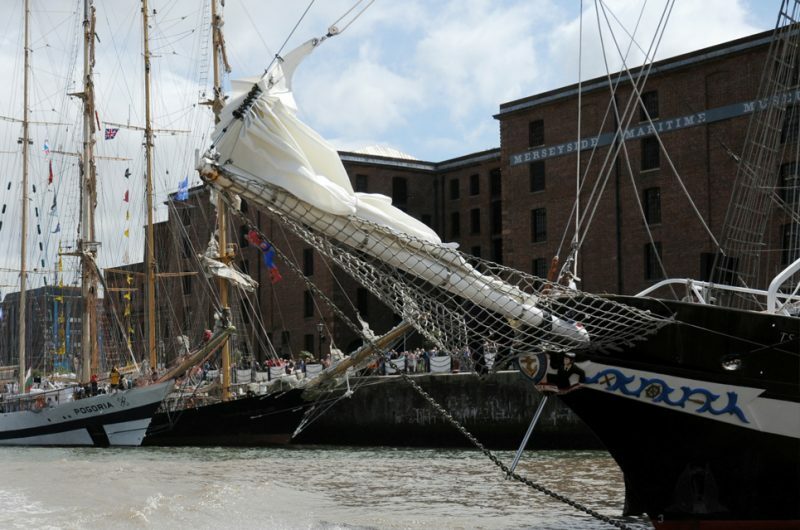 It's home to Europe’s oldest Chinese community, with the biggest Chinese Arch outside China. 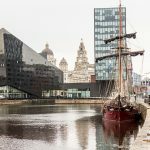 There are more than 100 parks and green spaces in the city, including four nature reserves and 10 listed Victorian parks.